The American Museum of Natural History will no longer host a gala honoring Brazil's far-right president Jair Bolsonaro, following several days of widespread public outrage and threats of resignation from scientists within the museum. In a statement, the AMNH said they had "jointly agreed" with the Brazilian American Chamber of Commerce — the multinational business group organizing the "Person of the Year" gala — that the event should be held elsewhere. "This traditional event will go forward at another location on the original date & time," the museum tweeted. The announcement was quickly celebrated by museum employees. "I’m extremely relieved that both parties realized that the AMNH is not the space to honor this individual," Dr. Susan Perkins, a curator and professor of microbiology at the museum, told Gothamist. 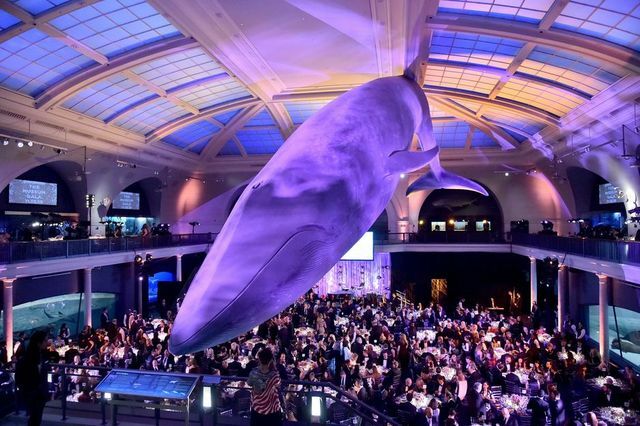 The decision comes four days after Gothamist first reported on the existence of the gala, which was set to take place on May 14th in the Great Hall of Ocean Life. The choice to honor Bolsonaro prompted a flurry of condemnations from the scientific community, many of whom noted that Bolsonaro's short time as president has been defined by an all-out assault on the Amazon rainforest. Since taking office in January, the number of attacks on indigenous reservations and deforestation rose by nearly 50 percent, according to one estimate. It was particularly frustrating, the advocates said, that a space dedicated to the celebration of the natural world would welcome a far-right leader intent on the destruction of one of the world's most vital natural resources. "I hope this will spur some discussion on how these types of events are vetted moving forward," Perkins added. Neither the Brazilian-American Chamber of Commerce nor the American Museum of Natural History immediately responded to Gothamist's inquiries. This is breaking story and we'll update as more information becomes available.